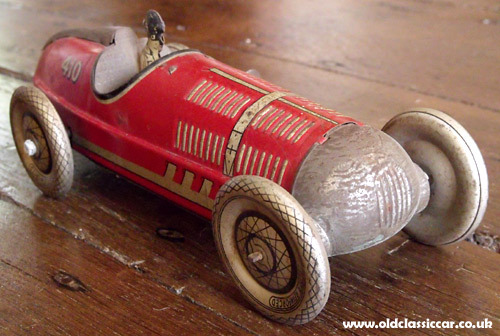 Marx tinplate toy racing car, with a clockwork motor. 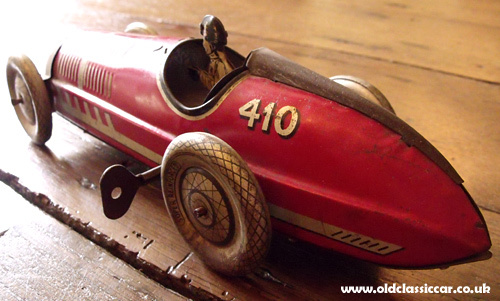 Searching around the internet, opinions on the manufacturer of this good-looking tinplate toy racing car vary. Some say Mettoy, others Chad Valley. However the general consensus is that it's by Marx Toys, the British arm of the Louis Marx toy company. 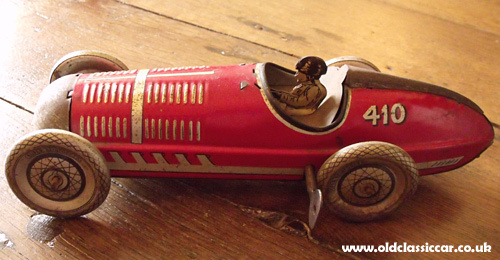 Date-wise this tinplate racer is reminiscent of the cars that once thundered around circuits such as Donington Park and Brooklands, prior to the war, so it could either be late 1930s or - perhaps more likely - late 1940s. 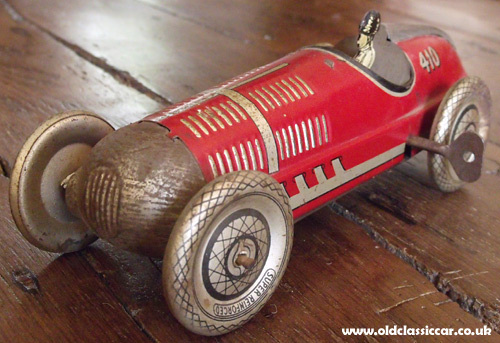 Unusually for what is a well-turned-out plaything, there are no manufacturer's markings on it anywhere. The only legend is "Super Reinforced", which appears in the lithography printing on each tyre. There would have been a small windscreen on it at one time, happily though the original driver remains in the cockpit. 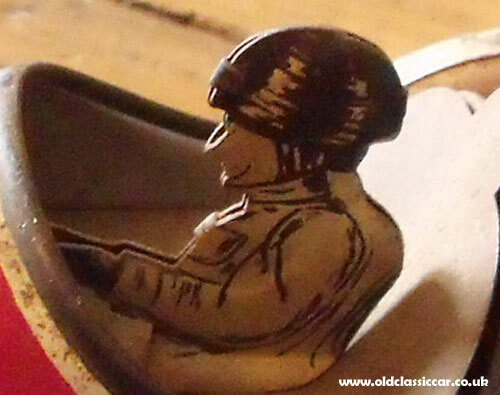 It's formed from two pieces of lithographed tin, joined together by small, bent-over, tabs. There's no sign of it ever having had a steering wheel. The clockwork motor still runs, and has decent grunt even after all this time. The key is the non-removable type, so no fear of losing this one. I've seen both blue and red examples, were any other colour variations produced? This V12-engined racing car measures 11 inches in length. 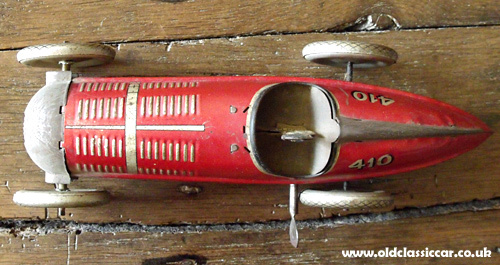 Please have a look around the tinplate toy section as there are many other vehicles, including several racers, now in there. There's also a Louis Marx army tank.